Featuring 10 firing spots for you to shoot at up to 50 feet. 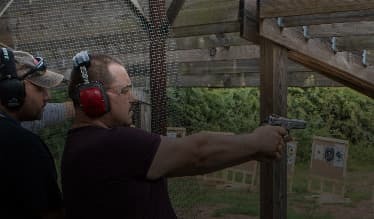 Connecticut’s Premier Outdoor/Indoor Shooting Range – We are Open to the Public! Since 1945, Blue Trail Range has provided the best recreational shooting experience. We offer the only outdoor shooting range in the area, as well as an indoor range, private shooting range, and shotgun field. 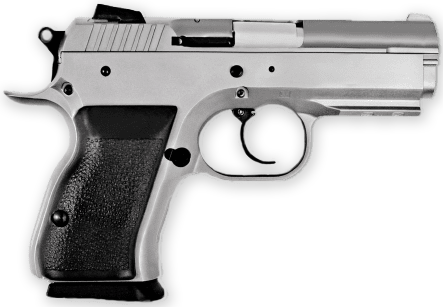 Our Gun Store sells new and used firearms, rents handguns for range use, and offers a competitively priced gun transfer service. For newcomers and those interested in competitive shooting, our NRA Certified Instructors teach training courses for both adults and juniors. Once you’ve worked up an appetite, don’t forget to visit our Range Café! 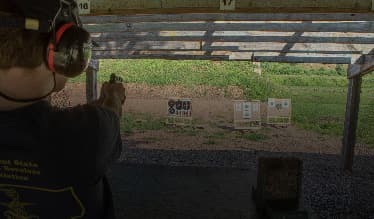 Blue Trail Range offers multiple educational courses, including required training for CT Pistol Permits and shooting instruction for juniors. Children ages 9 and older can join our Junior Rifle Club and learn from NRA Certified Instructors. Individual or group instruction for a variety of firearms--includes safety lecture and live firing time. A course for new pistol permit holders looking for further education on safe firearm handling. NRA Certified Instructors will help you enjoy your first shooting experience safely. Blue Trail Range hosts a variety of casual, competitive, and family-friendly events. Stay up-to-date on upcoming events for first-time shooters, league matches, and our Junior Rifle and Women’s Pistol Clubs. Our ranges can also be booked for private events! Pistol Training Courses Starting at $99!